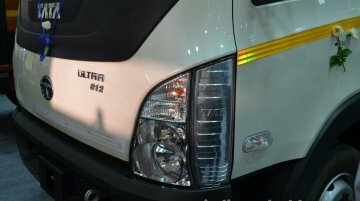 Tata Prima 4928.S is powered by a 6700 cc Cummins diesel engine. At the 2015 Gaikindo Indonesia International Auto Show (2015 GIIAS), PT. 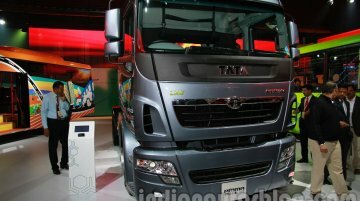 Tata Motors Distribusi Indonesia (TMDI) decided to..
Prima launched at RM 270,000; Xenon expected to retail between RM 60k - RM 80k. 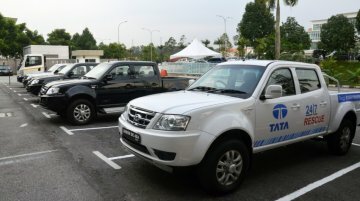 Tata Motors has made a re-entry to the Malaysian market, with DRM-Hicom Commercial Vehicles, reports PaulTan.org. The..
To be imported as CBUs from India. Speaking to Motoring, Mr. Darren Bowler, CEO of Tata Motors Australia, revealed that the company is planning to introduce the Prima and Ultra range of mid-premium..
AMT for CVs being locally developed to cut costs. 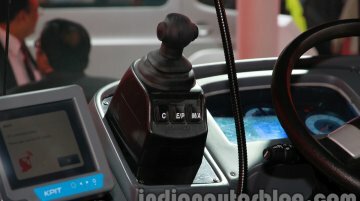 After tasting success with the launch of the AMT (Automated Manual Transmission) in the passenger vehicle market, Tata Motors is gearing up to..
Tata Ace family to get the technology at a later stage. After gaining popularity in the Indian passenger vehicle segment, the cost effective AMT (Automated Manual Transmission) technology is.. The growing positive sentiments of the automobile market in India, coupled with the increasing sales and impending festive season has driven the automotive dealers' confidence up by a huge margin. A..
Three models are available initially. 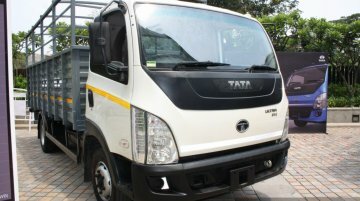 The Tata Ultra range of mid-premium light and intermediate commercial vehicles has been launched in Sri Lanka by Diesel and Motors Engineering PLC, the officia..
Tata Motors is looking to triple its exports of commercial vehicles over the next 3 years. 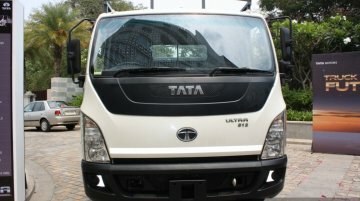 At present, the company exports roughly 50,000 units annually and this figure is likely to go up to 1.5 lakh..
Tata Motors today launched the Ultra ICV trucks, based on the Ultra platform that has been used to develop buses. 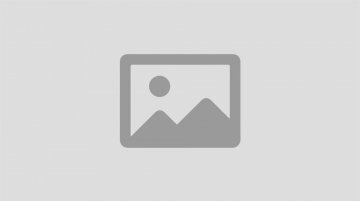 The Ultra 912 and the Ultra 812 were launched in Chennai for a price of Rs 10.94.. 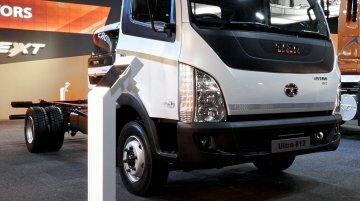 Despite the commercial vehicle industry enduring one of its worst years in recent history, the country’s largest truck manufacturer, Tata Motors, has announced that it would invest Rs 1,500 crore in t.. 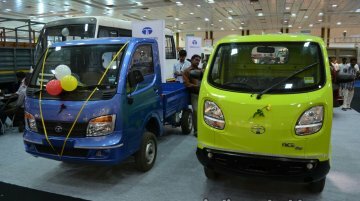 The smallest member of the Ultra family, the Tata Ultra 614, was unveiled at the Auto Expo. 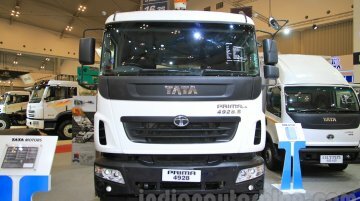 Powered by a 3L DICOR unit, the 614 develops 140 PS @ 3,000 rpm and 360 Nm @ 1,400-2,000 rpm matched to..
Tata Motors, India’s largest commercial vehicle maker which saw a heavy drop in the sales of its trucks and buses due an economic downturn, will launch a slew of modernised products next year,..
At the ongoing 2013 Johannesburg International Motor Show, Tata launched the Aria and is showcasing a few of their passenger and commercial vehicle products. 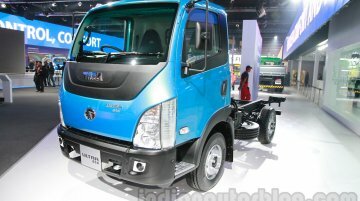 One of the commercial vehicles that..
Tata Motors unveiled the new LCV and ICV range of vehicles at the 2012 Delhi Auto Expo. 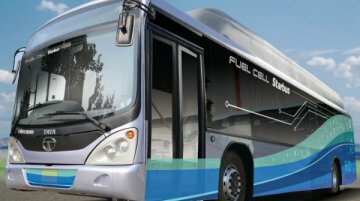 The company said that the new light-weight and intermediate commercial trucks, christened ‘Ultra’ will be..
Tata Motors in collaboration with the ISRO (Indian Space Research Organization) have developed the country's first Hydrogen Fuel Cell Bus. The bus was demonstrated at the Liquid Propulsions Systems..
Our regular reader from Pune, Suresh Deshpande has sent spy shots of Tata Motors Ultra LCV doing the rounds in Pune. 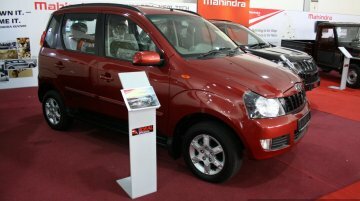 The Ultra was showcased at the 2012 Auto Expo in all its glory. However, as Tata..